June | 2013 | Sarasota & Bradenton Florida Real Estate & More! Keller Williams Real Estate is moving! LAKEWOOD RANCH — The major partners in Keller Williams Lakewood Ranch, Paul Cornuke and Steven Dutoit, have purchased the former Neal Communities offices at 8210 Lakewood Ranch Blvd. for more than $1.3 million as part of a new venture. Keller Williams is leasing the space and will move in beginning Thursday. The business partners purchased the building as Red Vette Ventures, LLC, drawing the name from Dutoit’s prized 1967 red Chevrolet Corvette. Red Vette Ventures is leasing the building to Keller Williams. 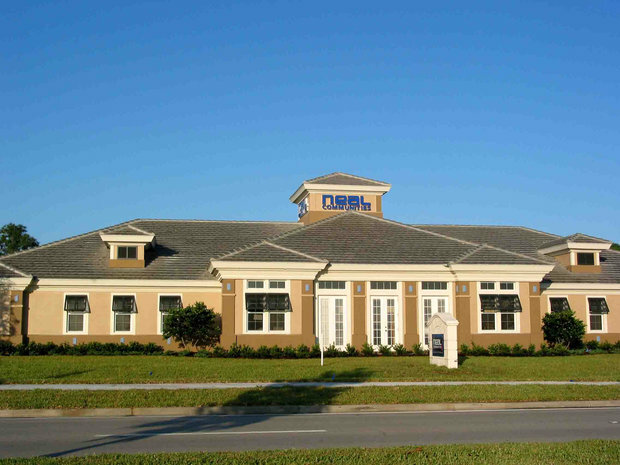 Neal Communities relocated to 5800 Lakewood Ranch Blvd., just south of University Parkway, said Leisa Weintraub, vice president of marketing for Neal Communities. The majority owner observed that the real estate business seems to go in five-year cycles. The pair said they chose the location because of its central location and surrounding beauty. “It has beautiful greenery and landscaping, yet you can walk across the street to Starbucks. It’s heaven on Earth,” Dutoit said. The new location is big enough to house about 300 agents and to offer a place for companywide meetings. Dutoit said he was drawn to the nature surrounding the Lakewood Ranch building. “There’s 46 oak trees on the lot and a lake on the back of the property,” Dutoit said. “The conference room looks out at this beautiful lake. There’s a picnic area under the oak trees and we’ll be setting up a barbecue grill for office events. The land is timbered and we are upgrading the landscaping. It’s the kind of an environment where you go there and you don’t feel like you’re in a commercial space at all. The current Keller Williams office is moving from the former John Cannon building on Professional Parkway, less than a mile away. 6923 Riversedge Street Circle in the River Club!! The percentage of homes for sale has risen 25 percent this year and housing inventories have started to outpace typical seasonal upticks, realtor.com® reports. Rising home prices likely are encouraging more home sellers to test out the market. The inventory crunch may be showing signs of easing with listings rising 5.8 percent in May. Still, the number of homes for sale is low by historical standards. Listings in May are still 10 percent below year-ago levels. The places where the number of homes for sale rose the most were Atlanta (rising 3.4 percent in May), Miami (2.8 percent), and Tuscon, Ariz. (1.8 percent). “Even with the increases, inventories in many markets remain tight, but any easing in the extreme shortages of the past year could ultimately cool the pace at which home prices have been rising,” The Wall Street Journal reports. Meanwhile, median asking prices rose 4.8 percent nationally over year-ago levels, according to the report. Sacramento posted the highest increase in asking prices (rising 42.3 percent from April 2012) and Oakland (a 38 percent increase). call Angie Cegnar now at 941-556-5030 or email us at Amcegnar@gmail.com today! 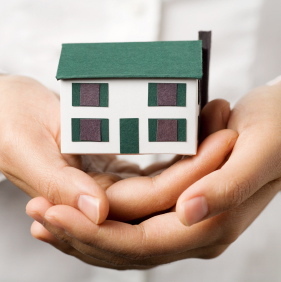 4 Real Estate Trends for Summer 2013! As demand from home buyers grows faster than the supply of homes for sale, many buyers are taking less conventional routes to find their dream home: They’re knocking on the doors of homes they like, writing handwritten notes, and tracking down the owners in hopes they may be willing to sell even though their home is not technically on the market. Zillow’s Make Me Move ® section, where homeowners list their properties with a “dream” price, is seeing a flurry of activity: There are now 148,000 listings, and contacts to owners are up 132 percent over last year.